Food: Vegan Bailey's Almande - Daisy Chains. Where do I begin?! 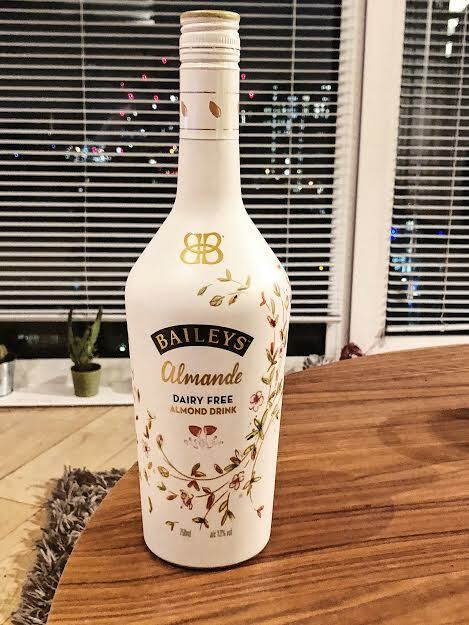 It's been a whole year almost since I first tried the Baileys Almande. I used to love the normal Bailey's back when I still had dairy in my diet, but thankfully there is a vegan version! This almande itself is quite different front the normal baileys, but still delicious. The name itself hints that this is made from almonds and that is exactly what it tastes like. It looks like almond milk but tastes a lot like almond pudding or an alcoholic version of almond milk. There is not a roasted nut taste to this at all and it's not overly sweet to taste. I've only had this straight, but I will be looking online to see what kind of cocktail I can whip up with these as well. I have seen so many people on Instagram use this as a base for their cocktails and they all look super delicious. Overall, I thoroughly recommend this and will be buying this as part of my Christmas shop. My only thoughts are that if you are looking for something that tastes like the original then this is not going to be for you as it is miles different.